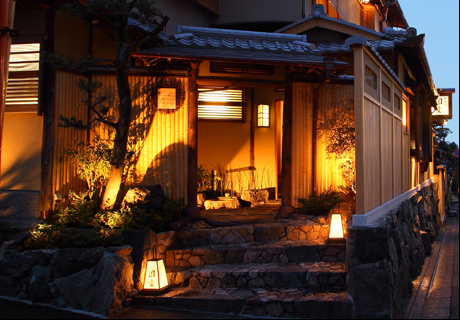 in a most traditional setting from the ancient capital of Japan. 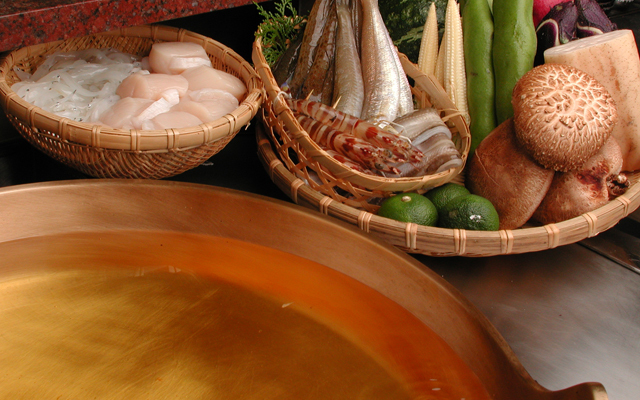 The ingredients for our delectable tempura feature the choicest seasonal delicacies. 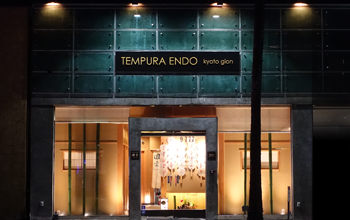 Indulge yourself in exquisite Kyoto-style tempura at Tempura Endo. 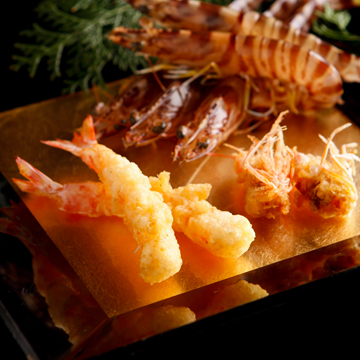 enhance the natural flavors of the tempura. the amazingly crisp, light, healthy tempura. 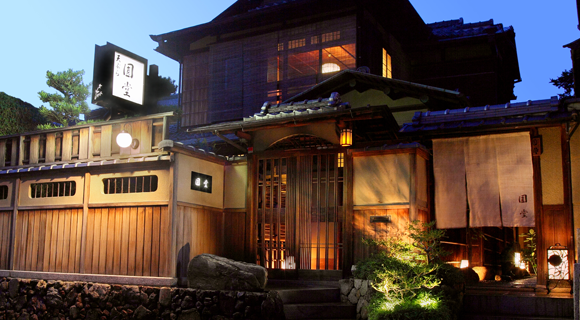 This is the highest-rated tempura oil, used mainly at top-notch Japanese restaurants. It is noted for its rich aroma and smooth flavor as well as for its high stability and quick response to the repetitive temperature changes when being heated. This oil maximizes the original taste of the ingredients, and achieves great balance between flavor and taste by removing the harshness from each ingredient while retaining a crisp, light texture when being used for cooking tempura. * Vitamin E: removes reactive oxygen, a main cause for aging, and prevents rough skin and dementia. 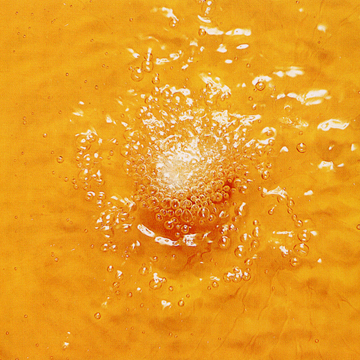 This sesame seed oil is obtained from freshly squeezed choice sesame seeds. Its refined flavor can bring out the essential taste of each ingredient, while removing any unpleasant sensations such as harshness and acridity. Contains: * Sesamin: facilitates alcohol decomposition and lowers blood cholesterol levels. This special high oleic safflower oil contains ample amount of natural Vitamin E and oleic acid, which is important for maintaining good health. At Endo, we use only the highest quality cold hard water to be mixed with weak flour. Hard water is rich in minerals such as calcium and magnesium. It facilitates the removal of harsh, bitter taste in the original ingredients, and prevents weak flour from absorbing water. Hard water prevents the creation of gluten, achieving an ideal, permeable membrane-like coating which can hold the flavors of each ingredient, while removing acridity. 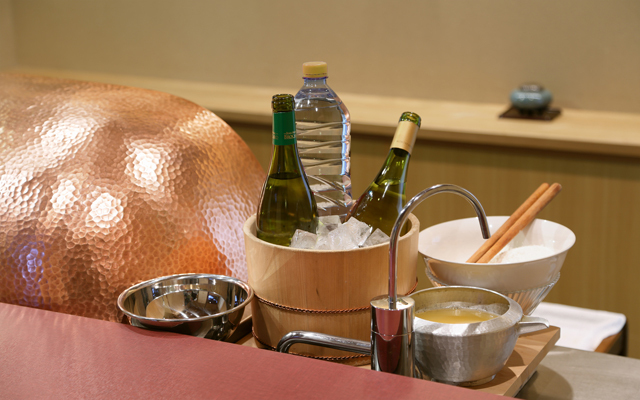 A first at our Beverly Hills restaurant, we mix weak flour with white wine – “Chardonnay” for fish and seafood, and “Sauvignon Blanc” for vegetables. 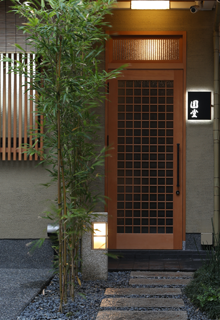 An extremely subtle fragrance arises from the piping hot tempura. At Endo, we use weak flour of the absolute highest quality for our tempura. The supreme quality weak flour has a fine texture, and contains very little protein, which prevents the development of gluten. 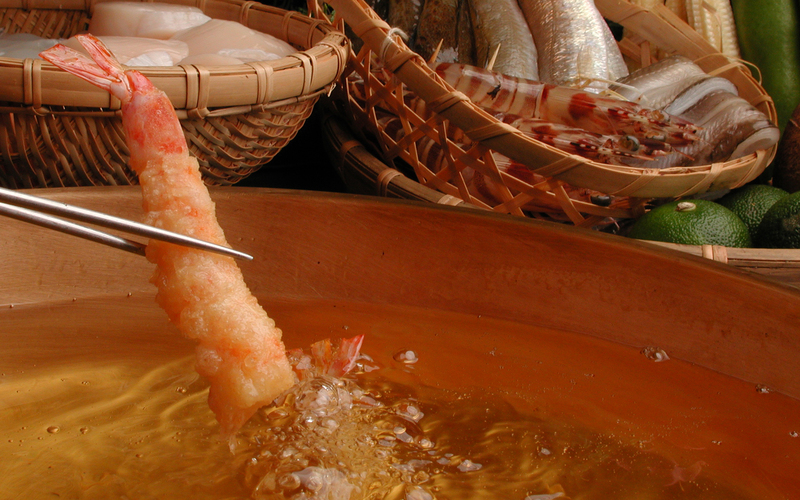 In comparison, weak flour with a high protein content eventually develops gluten, which is a taboo for the highest quality tempura. As people who are keen on anti-aging and/or on a diet may well be aware, gluten facilitates glycosylation, and is not good for the health. 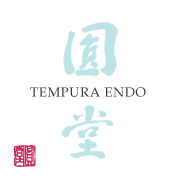 At Endo, we take the utmost care not to generate gluten in our batter, and have continued to maintain our strict standards in preparing the best quality batter, resulting in light, crispy tempura which is healthy and tasty.